Netflix has renewed its comedy “The End of the F—ing World” for a second season, the streamer said on Tuesday. Charlie Covell will return to write the second season, which is based on the award-winning comic series by Charles Forsman. Murray Ferguson, Ed Macdonald, Andy Baker, Charlie Covell, Dominic Buchanan and Jonathan Entwistle serve as executive producers. The eight-episode first season followed James (Alex Lawther) and Alyssa (Jessica Barden) – a self-proclaimed psychopath and a foul-mouthed rebel fed-up with her boring life. The two embark on a roadtrip to find a better life, and escape the impending doom of adulthood. As their chaotic journey unfolds, it becomes apparent that James and Alyssa have crossed a line and have no choice but to take it as far as they can. Season 2, which will be produced by Clerkenwell Films and Dominic Buchanan Productions, will run on Netflix everywhere except the U.K. where it will air on Channel 4. 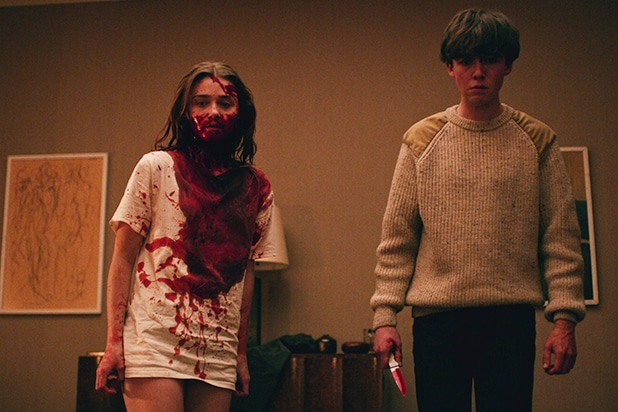 “The End of the F—ing World” was initially co-commissioned by Netflix and Channel 4.